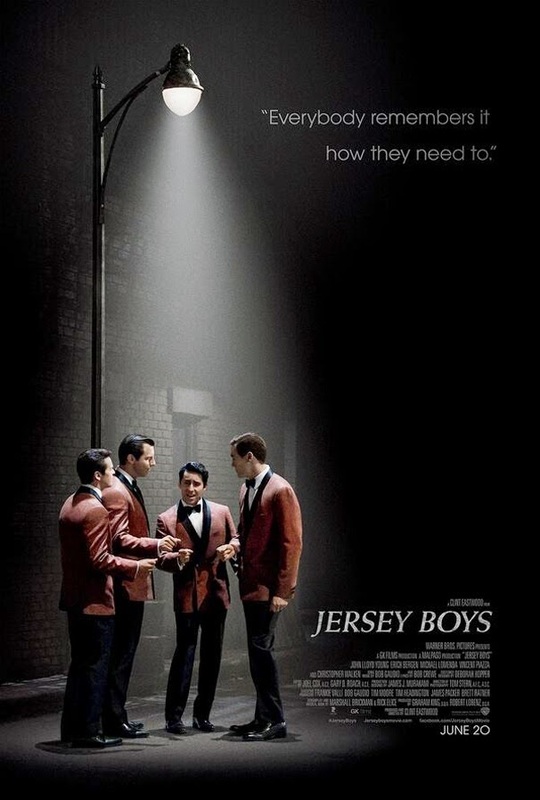 Jersey Boys is a musical biography, based on a stage play on Broadway by the same name. 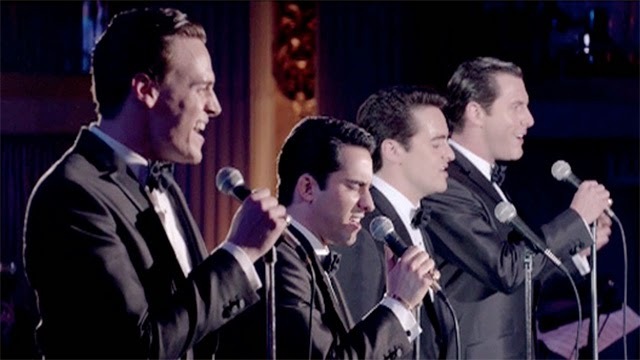 It follows the rise of the group The Four Seasons with Frankie Valli ( played to perfection by John Lloyd Young - he won a Tony award for his performance on stage playing this role). We follow young (16) Frankie and his best friend Tommy (Vincent Piazza) as the band comes together. They add Nick (Michael Lomenda - wow, can this guy sing bass). One of the best scenes is when the new singer/songwriter Bob (Erich Bergen) tries out to join the band. What follows is pure magic as the 4 harmonized for the first time singing "Cry for Me". Once the music starts this movie shines. ALL four of these guys can sing. The Four Seasons had the "sound" of the 1960's with Valli's strong powerful falsetto voice. Everyone will remember their three #1 hits in a row. "Sherry", "Big Girls, Don't Cry" and "Walk like a Man". It's fun to get a glimpse of how these songs came to be. The hits keep coming with "Oh, what a night" and "Can't take my eyes off of you". Director Clint Eastwood captures the essence of the time period. He has the look and feel of the early 1960's in New Jersey. The cars, the hairstyles, the clothes and even the furniture in the houses. Jersey Boys brings back a feel of nostalgia and memories of that time. I remember the living room couch covered in plastic. Do you? Eastwood has fun too, watch for his young self on a tv clip playing on the tv console. Christopher Walken as mob Don is pure Walken at his best. Check out the band's accountant played by Barry Livingston. He's another blast from the past from TV's "My three Sons". He was Ernie. the music is great. Jersey Boys is a bit long. It's when the story gets bogged down with the drama, that it slows down. We don't have enough character development to really care about some of the band members or their problems. The whole mob thing is played for laughs, these were some dangerous guys. I don't think the overused breaking the 4th wall, having the actors talk right to the audience really adds anything. It seems to be more of a distraction. The big Broadway finish with all the actors singing and dancing as they walk down the street was out of place but I really enjoyed it.